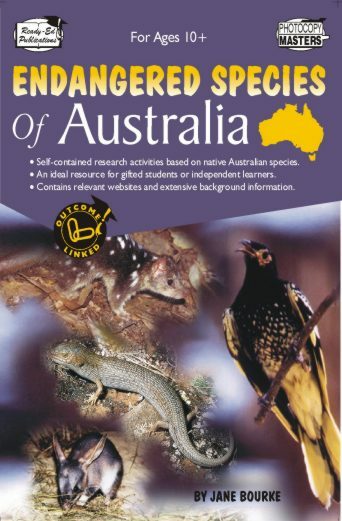 Please Note: The hard copy version of the Endangered Animals Resource Book is not full colour like the ebook. The ebook file is a large 2.9 mb file. A great resource for the library! 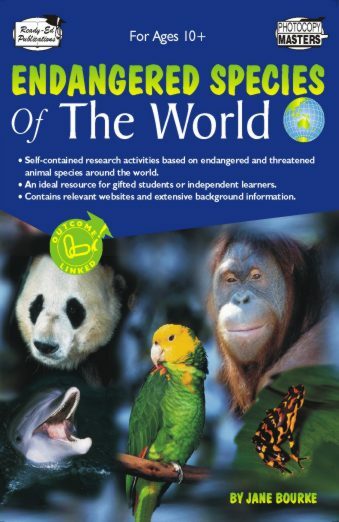 The Endangered Animals Resource Book contains over 60 pages with illustrated sections. It explores the reasons why some animals have become endangered and outlines conservation efforts to protect the animals from extinction. 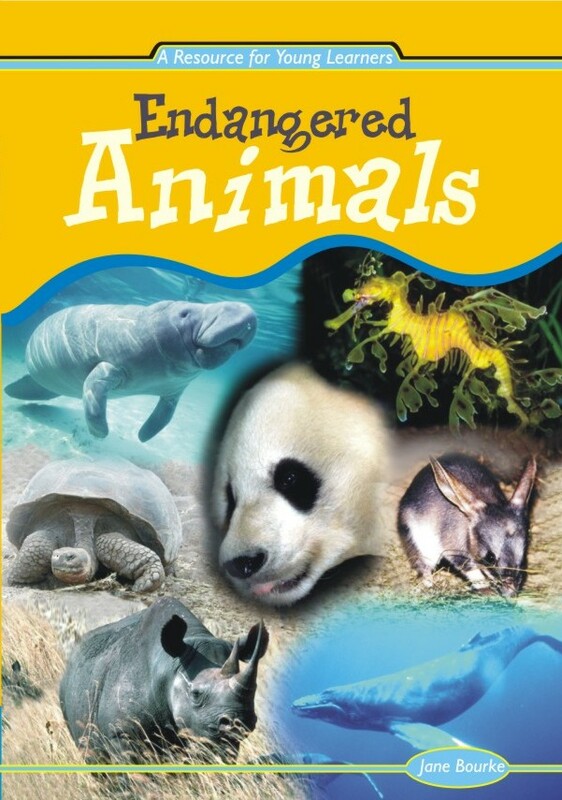 There are several fact pages on the “famous” endangered species such as the giant panda, the rhinoceros and the whale, however, there is also a strong emphasis on some of the lesser known endangered species, such as the leafy sea dragon, the manatee, the harlequin frog and the northern hairy-nosed wombat. 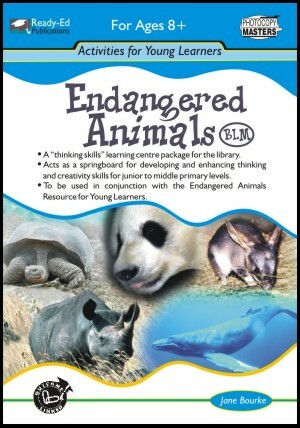 The Endangered Animals Resource Book is part of the Activities for Young Learners Series and is designed to be used with the Endangered Animals Activity Book (BLM).